Some of our other stops on this trip included Barcelona, Valencia, Malaga, and Cadiz in Spain, Villefranche in France, and Rome Italy. This is typical of a fourteen day Mediterranean cruise, stopping at several places that you might not bother seeing if you were left to your own resources. Since World War II, military presence in Gibraltar has been in decline. Its strategic importance in terms of controlling the Mediterranean and northern Africa is simply not needed. Because of this and other reasons, the government has been busy switching its economy from a declining military presence toward something more sustainable. 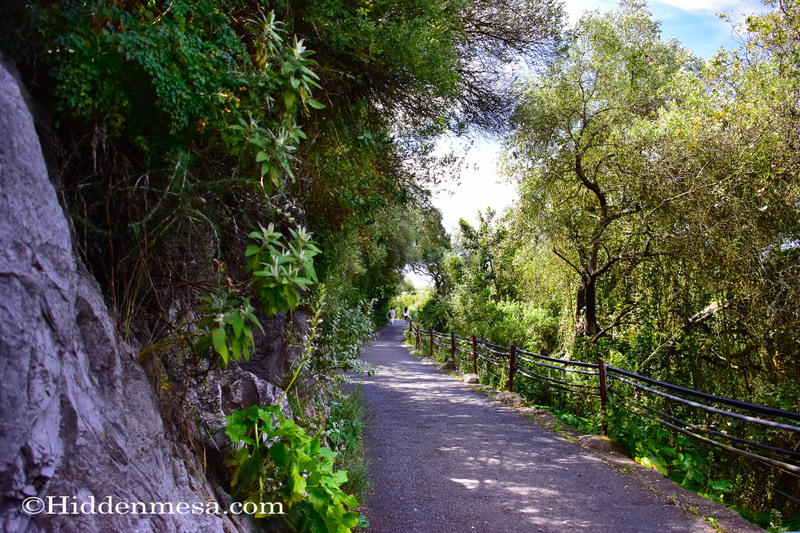 With the fascinating history of the rock, and the fact that the British and Spanish governments are finally cooperating in terms of free border crossings, jobs, and encouraging mutual commerce, a natural direction seemed to be tourism. 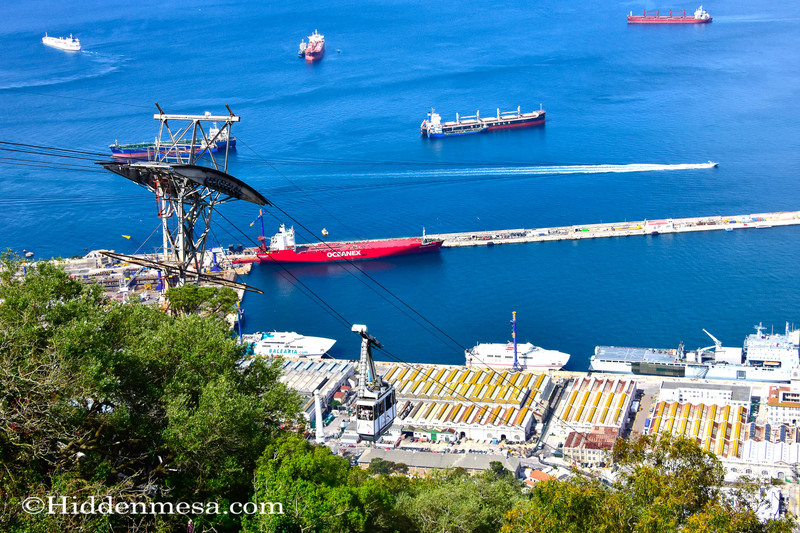 Cable car goes up 1400 feet to the upper rock of Gibraltar. Photo by Bonnie Fink. This was our first trip to Gibraltar. Our first impression was that it was a clean and well maintained community with an abundance of things to do from a tourist’s point of view. 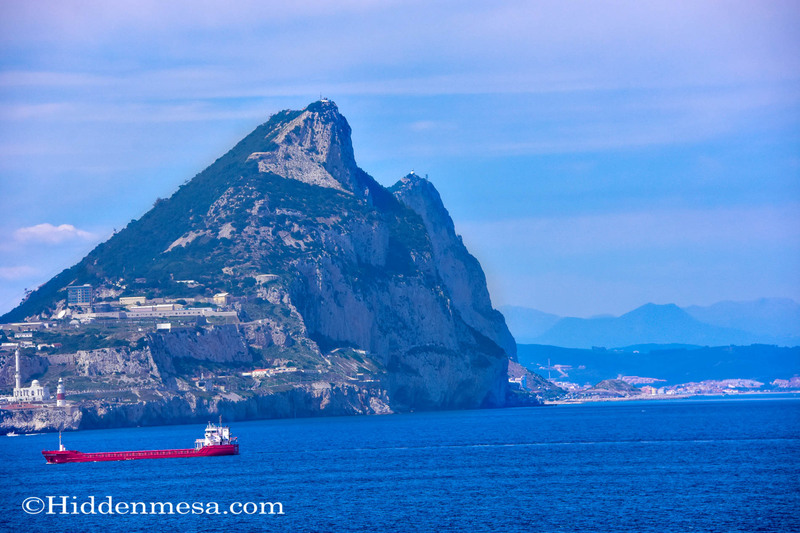 Our adventure for this trip was the famous caves inside the rock of Gibraltar as well as a trip up the gondola for a view of the surrounding landscape. We spent time walking the road from the summit down to some of the caves, and toured several cave systems before heading back to the ship. 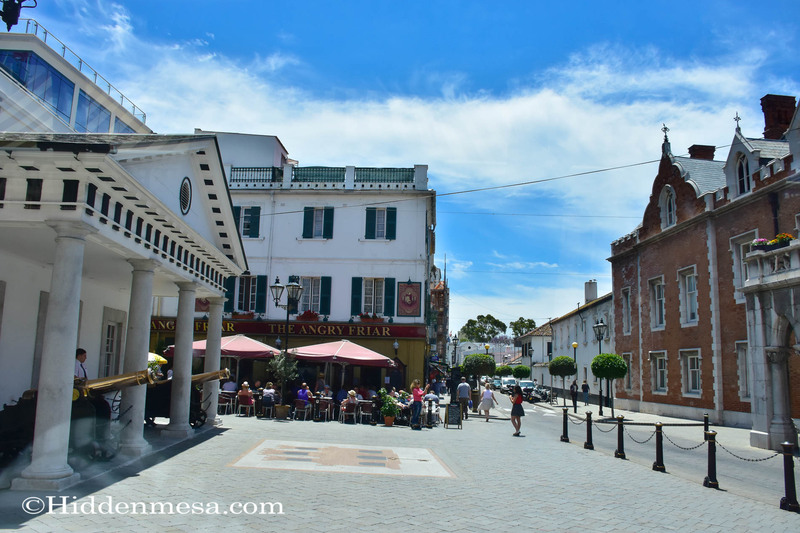 We spent exactly one day on a ship sponsored tour so it would be inaccurate to pretend that we have a great deal of first-hand information about some of the great things to do in Gibraltar. 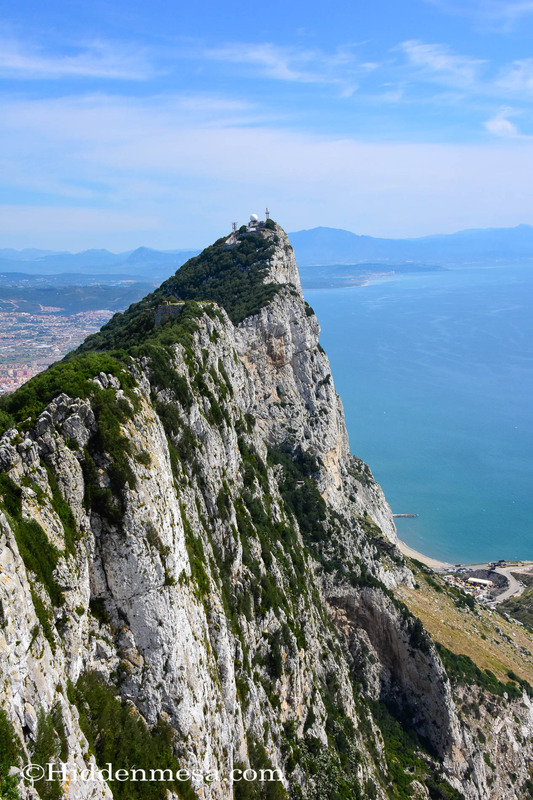 As always, and we would appreciate hearing from you in the comments section below if you’ve been to Gibraltar and experienced some of the activities we fail to mention. Our day started with a short bus ride from the cruise terminal to the base of the Rock. There, we boarded a gondola and made our way to the top of the mountain. 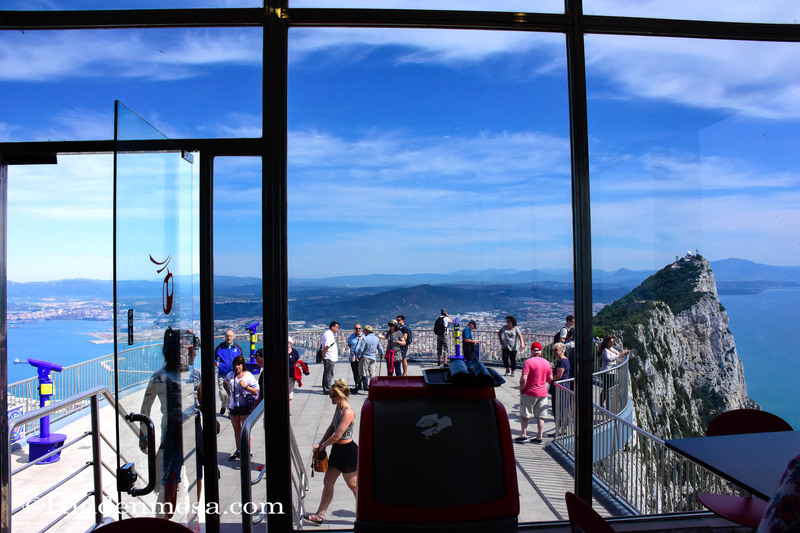 From the top we enjoyed a 360 degree panoramic view of Gibraltar, the coast of Spain and across the Strait of Gibraltar to the coast of northern Africa. From there we made our way down the mountain on foot until we came to the entrance to one of the cave systems. This was the entrance to St. Michael’s Cave. Seating for the concerts inside St. Michael’s Cave. This natural cavity deep inside the Rock of Gibraltar was once outfitted for an emergency hospital during World War II, but was never used. Photo by Donald Fink. St. Michael’s Cave is in the lower portion of the Rock of Gibraltar. It’s a natural cave system, eroded over thousands of years by water seeping through cracks in the limestone. The largest of the caverns, St. Michael’s Cave, was outfitted as a hospital in World War II, but was never actually used. Now its most popular function, other than a tourist attraction, is concerts. We can see why too. The acoustics in this dome shaped room are phenomenal. The caverns are populated with numerous stalactites from water, enriched with dissolved limestone, dripping from the ceilings. Lights have been strategically placed, adding color and interest, and making a generally pleasing experience as you make your way through the caverns. 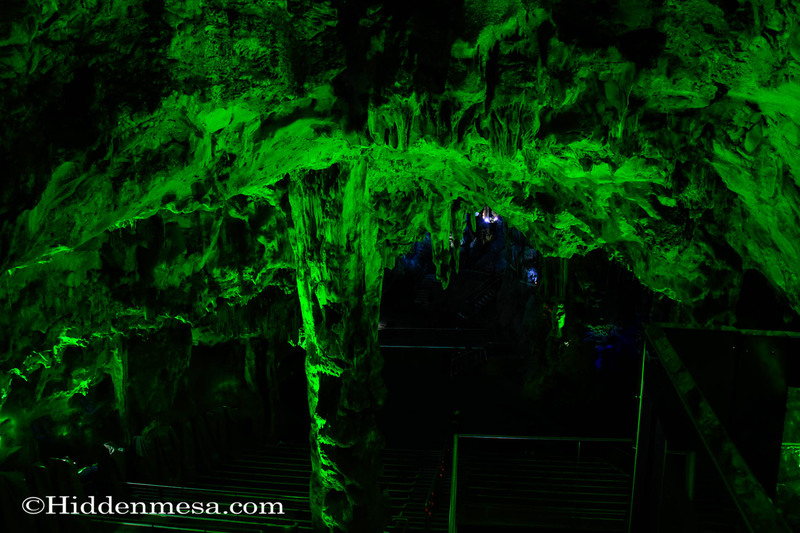 There are some interesting images of the main cavern in St. Michael’s Cave in our gallery below. When outfitting for the hospital in the 1940s’, a ventilation hole was created in the caverns, which exposed a whole series of new, previously unknown caves and passages in lower chambers. Today those chambers are largely as they were discovered with the exception of lighting and ropes. 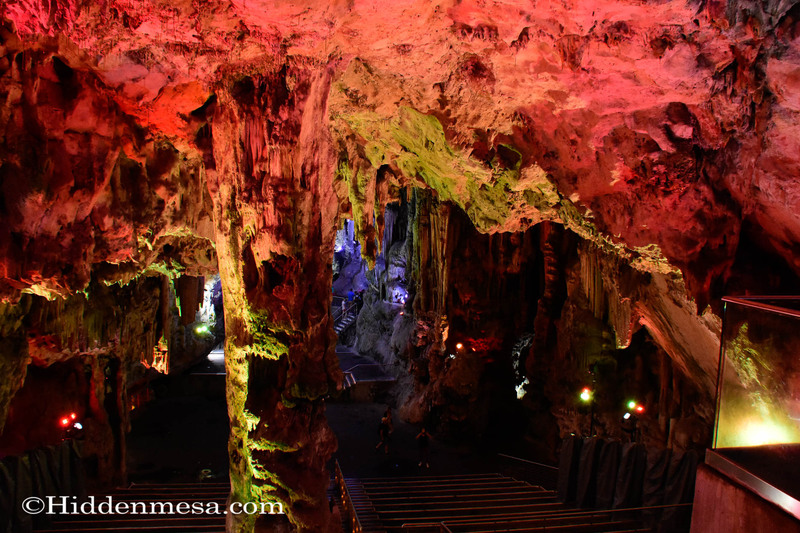 Tourists can arrange to visit these caves through tours. 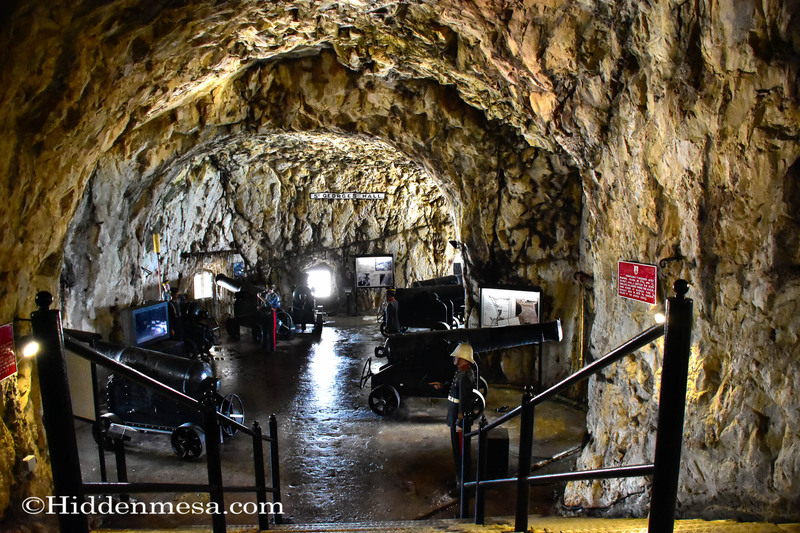 We didn’t visit the lower caverns, also known as New St. Michael’s caves, but if you’re interested you can learn more on the official Visit Gibraltar web site. 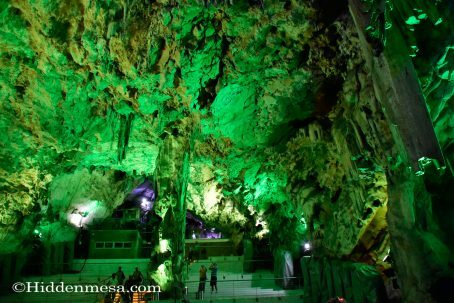 At the bottom of the Visit Gibraltar page, you can find the names of several tour operators that take groups into the lower caves. We can’t recommend any of them simply because we don’t know any of them. When you are at the top you will see many Barbary Apes. They tend to like to take things, so keep purses and food close. Photo by Bonnie Fink. 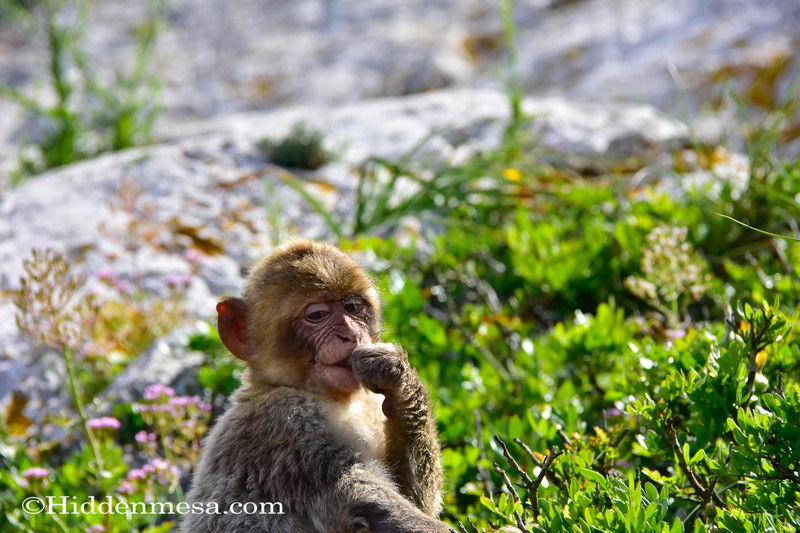 Near the top of the rock at Gibraltar, you will see many Barbary Apes. There are reportedly slightly over 200 animals living in the area. 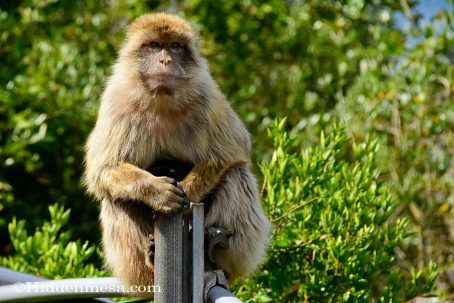 During our stroll down the mountain, we encountered the famous Barbary Ape. Their actual name is Barbary macaque (Macaca sylvanus). These creatures are interesting. First of all, they’re not really apes. They’re a monkey of sorts, but it’s easy to see why these animals were confused with apes. Monkeys usually have tails, but not always. Barbary Apes do not have tails. The Barbary Apes are quite small as primates go. The mature adults we saw were less than two feet tall when standing. We were told by our tour guide that the Barbary Ape was imported to Gibraltar from north Africa as a food source, possibly during one of the Moorish occupations, but we haven’t been able to corroborate this information from another source. They do appear to be present in Morocco and Algeria, but their original source seems to be from Asia. We were warned to keep an eye on our possessions, that the animals liked to help themselves to whatever wasn’t in your immediate possession. And they certainly didn’t have any fear of humans. Their primary food source comes from daily feeding from park service employees, and even though feeding them is illegal with some serious fines, taxi drivers and tour guides seemed to be generous with treats. 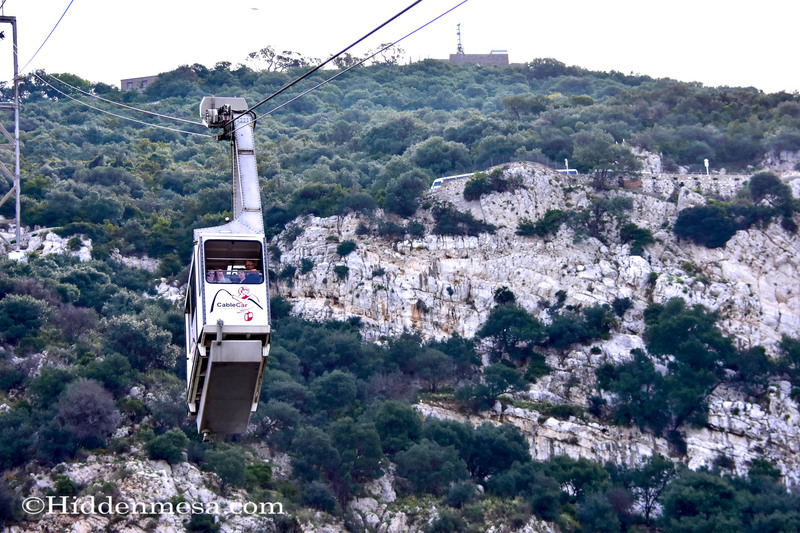 After our tour of St. Michael’s Cave and doing our best to not interact with the monkeys, we boarded the bus again and were transported back up the Rock to the Siege Tunnels and St. George’s Hall. 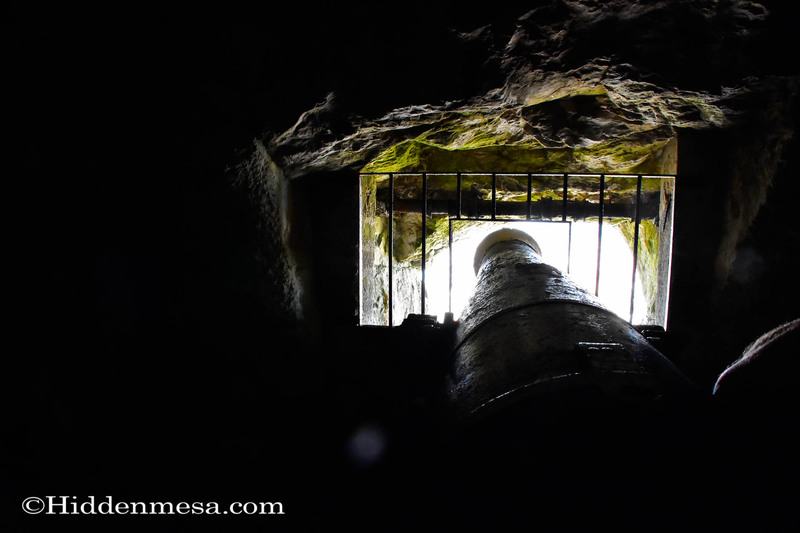 These tunnels were constructed over the centuries by British soldiers as they defended Gibraltar from the Spanish. It seems that in the last 500 years, Gibraltar has been under siege 14 times. The Siege Tunnels—unlike the caverns further down in St. Michael’s Caves—are not natural. They were hand-hewn out of solid rock, mostly limestone, by soldiers. The purpose was to create a tunnel system that could be used by soldiers while under siege. They could transport ammunition and cannons to various locations and even operate the cannons from openings in the side of the mountain. It’s interesting to note that in the early 18th century, a kind of DMZ (Demilitarized Zone) was created at one point in roughly the same location as the airport now. The width of the DMZ was about a kilometer, or roughly, the distance a cannon ball could travel in 1704. Over time, England claimed a small piece of the DMZ at a time—much to the annoyance of Spain—until they eventually had pretty much all of the DMZ. Good for them too because that’s where the airport now sits. 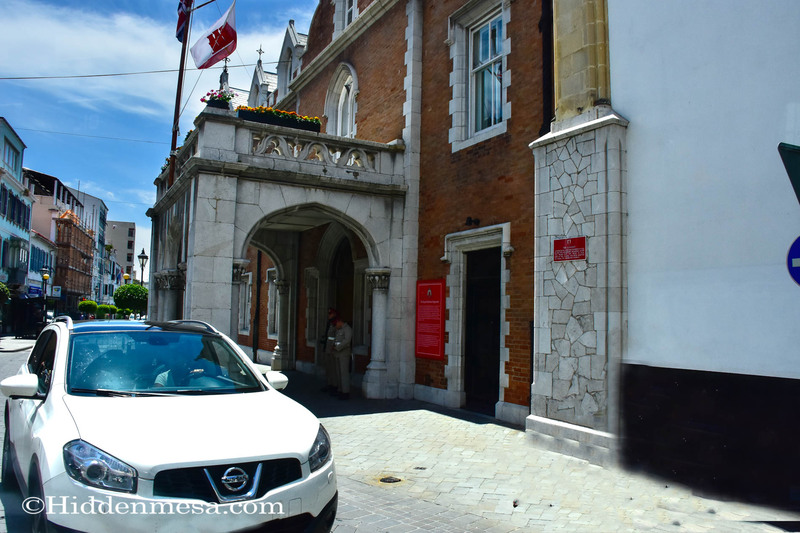 The Convent Building has been the official residence of the Governor of Gibraltar since 1728. It was originally a convent of Franciscan Friars, hence its name, and was completed in 1531. During World War II, it was the residence of General Eisenhower. Photo by Bonnie Fink. 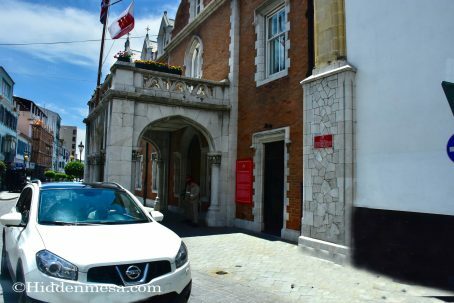 During World War II, General Eisenhower took up residence in Gibraltar as he planned Operation Torch, the first large scale American and British operation of the war. Every inch of Gibraltar was used to amass ammunition, personnel, and aircraft. Fighter aircraft were shipped to Gibraltar in crates and assembled there. On November 8, 1942, 466 aircraft were flown from Gibraltar to captured northern African airfields. Operation Torch, directed by General Eisenhower and Admiral Sir Andrew Browne Cunningham began. We’ve put together a smaller article depicting a few more bits of information about the history of Gibraltar. You can see it here. Otherwise, take a look at the image gallery below. We enjoyed our day in Gibraltar. 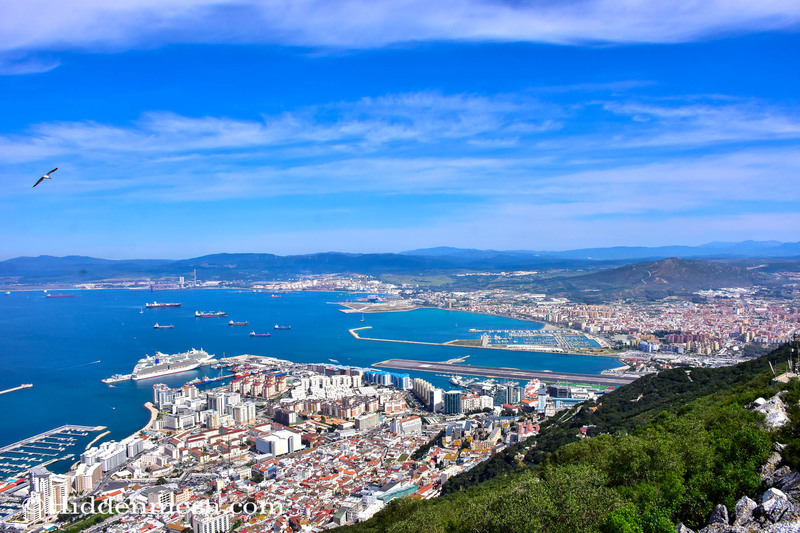 If we ever find ourselves on a car trip in Spain, and we happen to make it to the southern part of the country, you can be sure that we’ll make a quick detour and spend some more time in Gibraltar. If not, we’ll certainly find new things to do when a cruise ship we happen to be on stops in for the day. We think you might enjoy it too. Outdoor viewing area at the Visitors Center. With a view of the Rock of Gibraltar to the right. 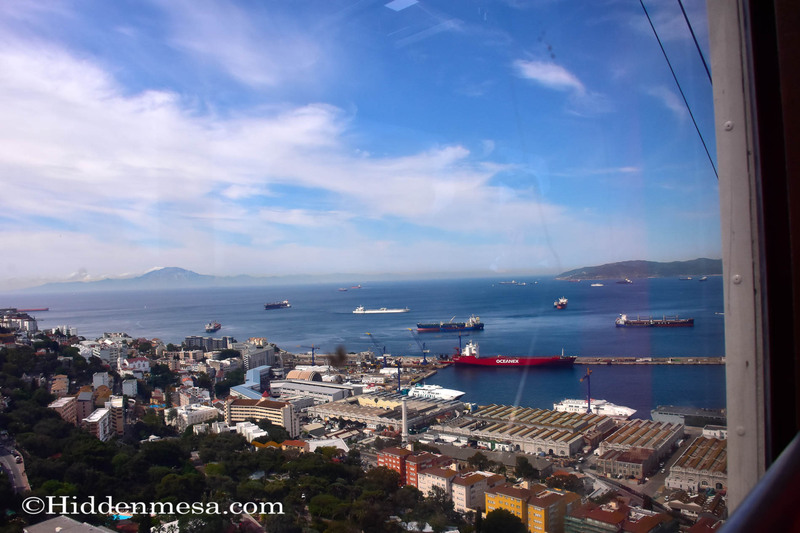 View while going up in the Cable Car of the town of Gibraltar and the harbor. Africa is off in the distance. 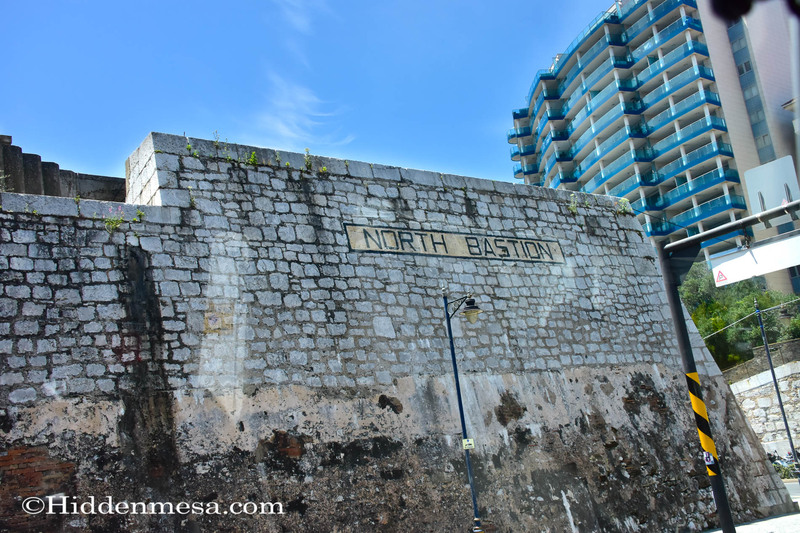 The North Bastion, formerly the Baluarte San Pablo was part of the fortifications of Gibraltar, in the north of the peninsula, protecting the town against attack from the mainland of Spain. One of the many outdoor cafes in Gibraltar. St. Michael's Cave was used as a hospital in 1942 during WWII. Today there are concerts held inside the beautiful cave. St. Michael's Cave was known to the Romans. The cave goes 700 feet down into the mountain. Over the years after the Great Siege the tunnels were expanded. Eishenhower spent time in the tunnels during WWII. Tunnels were dug in the rock by the British Army during the great Siege, 1779-1783 to protect the island. The Rock of Gibraltar as seen from sea. Photo by Bonnie Fink. Pathway to St. Michaels Caves. When you are at the top you will see many Barbery Apes. They tend to like to take things, so keep purses and food close.